We’d love your help. 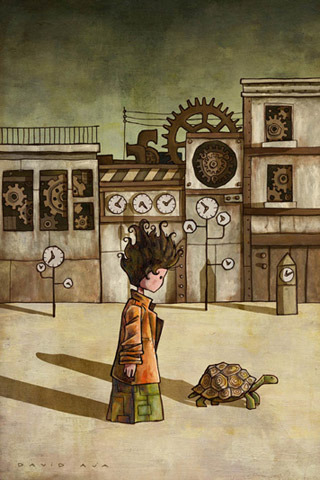 Let us know what’s wrong with this preview of Momo by Michael Ende. To ask other readers questions about Momo, please sign up. I've just started studying German and was wondering if this would be more or less easy to read when I have a little more control of the language. If not, any recommendations? Is this a good book to gift my mom? Manny was working late one evening when he received an unexpected visitor. He was an old man with white hair and gold-rimmed glasses, curiously dressed in a lace-embroidered doublet and a periwig, and he was carrying a book. "Greetings," said the visitor. "I think you should read this." "What is it?" asked Manny irritably. People were always asking him to read things. "I don't really have time right now. I need to get this software problem fixed for tomorrow. And then I have an article to write an Manny was working late one evening when he received an unexpected visitor. 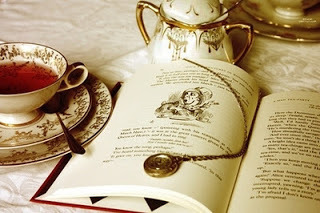 He was an old man with white hair and gold-rimmed glasses, curiously dressed in a lace-embroidered doublet and a periwig, and he was carrying a book. "What is it?" asked Manny irritably. People were always asking him to read things. "I don't really have time right now. I need to get this software problem fixed for tomorrow. And then I have an article to write and a dozen emails to answer and some insurance paperwork I've been putting off for too long. I'm very busy. How did you get in, anyway?" "It definitely sounds like you should read Momo," said the old man, ignoring Manny's question. "I am quite concerned about you. Here, take a look." Manny flicked through it briefly and sighed. "It's some kind of YA fantasy novel, right?" he said. "If that is what you want to call it," replied the visitor. "But I don't read YA," said Manny. "All my friends know that." "Why not?" asked the visitor. "Well, I'm too old for it," said Manny, as he studied the error message his laptop was showing him. "I find it painfully unsophisticated and badly written. It never gives me anything." "Perhaps you should become younger," said the visitor. "It's quite easy, you know." "Really?" said Manny in a dismissive tone. But something made him glance up from his screen, and he saw to his surprise that the visitor was no longer an old man. In fact, he almost looked like a child. "You see?" said the visitor. "Now, here's what you need to do. Just learn German. At first, you'll be a helpless infant and you won't be able to read at all. Soon, though, you'll find you're four or five and enjoying stories. When you're about ten, you'll be ready for this. I'll come back when you've finished." "You must be joking," said Manny, who was looking at his screen again. "Didn't I just tell you I was very busy?" He turned around, but found his visitor had disappeared. All that was left was a large pile of German children's books. Over the next few months, Manny somehow found himself reading one German book after another. He read Grimms Märchen, and Krabat, and Das doppelte Lottchen, and Madita, and Karlsson vom Dach. Finally, a couple of weeks before Christmas, he opened Momo. He found he couldn't put it down. He had just finished the last chapter when he heard someone clear their throat behind him. "Well?" said the visitor. "I hope you're not too busy to talk to me?" "Uh, no," said Manny. "It's funny, but when I think about it I find I have more time than I'd imagined. And you're right. Momo is very good." "I'm glad to hear it," said the visitor gravely. "There was just something I wanted to ask you," said Manny. "Here, wait a moment." He leafed through the book to find the page. But when he looked up, the visitor had gone again. Oh my... you haven't read this book? You poor dear. I suspect that the reason why this book is not read in the United States is because the grey men are working very hard to keep it off the shelves. It is moments, not time, that is precious. Momo is a classic story that is known as a children's book, yet I believe that adults may even glean more from its reading than younger folk. 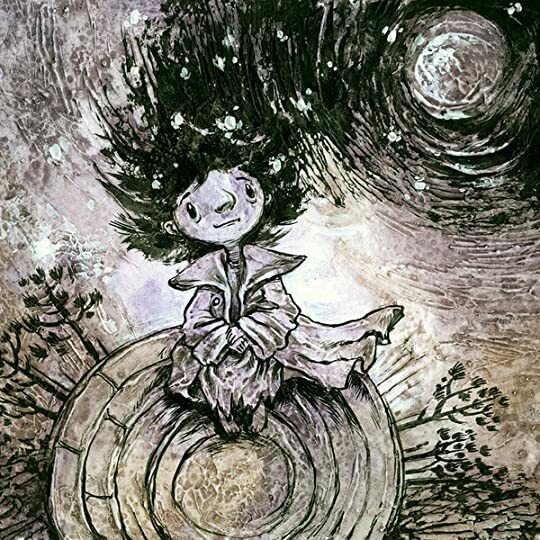 Momo is written by Michael Ende, the author who is most known in the US for having written The Neverending Story. When I was younger, and my mother ran an independent children's bookstore, she ordered a case of this book, and gave a copy to all of her friends and colleagues. This is a modern day fairytale, about a little girl named Momo, who moves into a ru Momo is a classic story that is known as a children's book, yet I believe that adults may even glean more from its reading than younger folk. 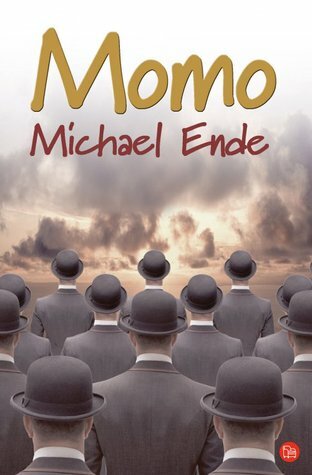 Momo is written by Michael Ende, the author who is most known in the US for having written The Neverending Story. When I was younger, and my mother ran an independent children's bookstore, she ordered a case of this book, and gave a copy to all of her friends and colleagues. This is a modern day fairytale, about a little girl named Momo, who moves into a ruined amphitheater on the edge of a Italian-style town. She is a remarkable individual, who lives in poverty, yet her life is rich with friendship and love. Momo has a unique skill of deep listening. Soon all the villagers learn that when they are not getting along they should "go and see Momo". Through Momo's friendship, her friends find peace, community, and creativity. Her gift of listening to them until the truth unveils itself brings her to be surrounded by many friends who bring her food, tell her stories, and help care for her in her adopted home. Life changes quickly in the village, when the Men in Gray infiltrate their life, hypnotizing people to save time. 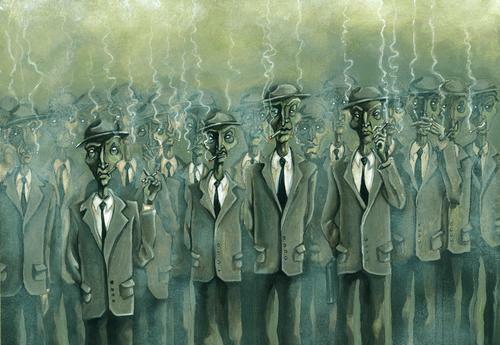 In their Time Saving Banks, they steal people's time, and smoke it in gray cigars that they are never seen without. Yet, no one remembers ever seeing the Men in Gray, except Momo, who cannot be hypnotized by the lures of timesaving because she is content with being who she is and loves to spend time with her friends. Eventually, everyone is entrapped by the Men in Gray, and only Momo can save them. Even Momo's two best friends, Guido the Guide and Bebbo Roadsweeper, have been seduced by the Men in Gray. Luckily, she has help from two new friends Cassiopeia, a tortoise who can see precisely half-an-hour into the future and can spell words across her shell to communicate, and Professor Secundus Minutus Hora, who is the steward of the universal source of time. Do you have time to sit down for a moment, and listen to a story? It is a true one, of great importance, with a vital message for humankind. It starts in a classroom, where a teacher is about to wrap up for the day. She has put a lot of time into the Timesaving Bank, and wants to save some more of it by rushing off to the underground to catch the next train. That makes at least four minutes which she will not have to spend waiting, Heaven forbid! 4 minutes to put into the Timesaving Dear friends! Do you have time to sit down for a moment, and listen to a story? It is a true one, of great importance, with a vital message for humankind. It starts in a classroom, where a teacher is about to wrap up for the day. She has put a lot of time into the Timesaving Bank, and wants to save some more of it by rushing off to the underground to catch the next train. That makes at least four minutes which she will not have to spend waiting, Heaven forbid! 4 minutes to put into the Timesaving Bank. Just when she is about to rush out, already wearing her coat, some of her mentor students come in. There has been a conflict. They want to tell her their different versions. The teacher sighs, sacrifices her valuable time out of a reluctant sense of duty, and lets go of the next underground, quite unwillingly. What follows is a 40-minute conversation between five teenage boys, all describing the development of the fight from their point of view. Having been assigned to do unspecified online research in a class, they find themselves bored, and start to tease each other. After a while, it is not funny anymore, someone gets hurt, tries to pay back with a spiteful comment, and the whole thing gets out of control. This is not what the teacher hears first, of course. The last comment in class is the first that is reported: "He said...", "But you did...", uncovering of the drama in backwards slow motion. After 40 minutes of intensive listening and peeling the onion, a solution is found, apologies are accepted, and all leave to go home. One student gets into new trouble with his timesaving mother who had to wait for him and lost an entire 60 minute investment in the Timesaving Bank. Peacekeeping is expensive! Change of scenes. The teacher enters her own home, late. Her children hang out in the living room, reading. In order to vent the stress caused by the lost time, the teacher, now transformed into a mother, retells the whole story again, with all the strange tosses and turns before the truth is revealed. "Why don't you ask Momo, mum?" That question has a familiar ring to it. It is a quote from a long-ago favourite. The mother, confused, looks at the title of the book the son is reading, and sees the cover of Michael Ende's perfect fairytale. The 14-year-old is rereading the story that he had loved to listen to as a small child, a story of such power that it gains strength every time you enter it. A story of a child who teaches grown-ups a lesson. "Why don't you ask Momo, mum?" My son is teaching me a lesson. "All the games were selected for them by supervisors and had to have some useful, educational purpose. The children learned these new games but unlearned something else in the process: they forgot to be happy, how to take pleasure in little things and last, but not least, how to dream." "All the world's misfortunes stemmed from the countless untruths, both deliberate and unintentional, which people told because of haste or carelessness." What is to be done? The little girl Momo sets out to save the world by reconquering time! "And that has not happened in many years, mum, not since I read Good Night, Mr. Tom. Maybe you should read it with your class?" "We don't have a copy in English!" "Yes, we do. In the school library. You bought it yourself!" Momo, also known as The Grey Gentlemen or The Men in Grey, is a fantasy novel by Michael Ende, published in 1973. It is about the concept of time and how it is used by humans in modern societies. The full title in German (Momo oder Die seltsame Geschichte von den Zeit-Dieben und von dem Kind, das den Menschen die gestohlene Zeit zurückbrachte) translates to Momo, or the strange story of the time-thieves and the child who brought the stolen time back to the people. In the ruins of an amphitheatre just outside an unnamed city lives Momo, a little girl of mysterious origin. She came to the ruin, parentless and wearing a long, used coat. She is illiterate and cannot count, and she doesn't know how old she is. When asked, she replies, "As far as I remember, I've always been around." She is remarkable in the neighbourhood because she has the extraordinary ability to listen—really listen. By simply being with people and listening to them, she can help them find answers to their problems, make up with each other, and think of fun games. The advice given to people "go and see Momo!" has become a household phrase and Momo makes many friends, especially an honest, silent street-cleaner, Beppo, and a poetic, extroverted tour guide, Gigi (Guido in some translations). This pleasant atmosphere is spoiled by the arrival of the Men in Grey, eventually revealed as a species of paranormal parasites stealing the time of humans. Appearing in the form of grey-clad, grey-skinned, bald men, these strange individuals present themselves as representing the Timesavings Bank and promote the idea of "timesaving" among the population: supposedly, time can be deposited in the Bank and returned to the client later with interest. After encountering the Men in Grey, people are made to forget all about them, but not about the resolution to save as much time as possible for later use. Gradually, the sinister influence of the Men in Grey affects the whole city: life becomes sterile, devoid of all things considered time-wasting, like social activities, recreation, art, imagination, or sleeping. Buildings and clothing are made exactly the same for everyone, and the rhythms of life become hectic. In reality, the more time people save, the less they have; the time they save is actually lost to them. Instead, it is consumed by the Men in Grey in the form of cigars made from the dried petals of the hour-lilies that represent time. Without these cigars the Men in Grey cannot exist. Momo, however, is a wrench in the plans of the Men in Grey and the Timesavings Bank, thanks to her special personality. The Men in Grey try various plans to deal with her, to derail her from stopping their scheme, but they all fail. 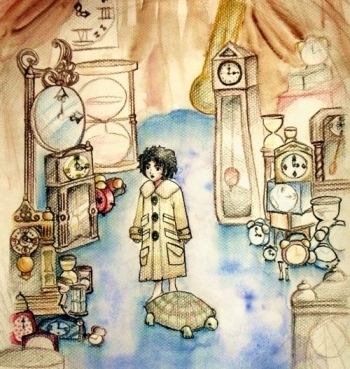 When even her closest friends fall under the influence of the Men in Grey in one way or another, Momo's only hope to save the time of mankind are the administrator of Time, Master Secundus Minutus Hora, and Cassiopeia, a tortoise who can communicate through writing on her shell and can see thirty minutes into the future. Momo's adventure takes her from the depths of her heart, which her own time flows from in the form of lovely hour-lilies, to the lair of the Men in Grey themselves, where the time that people believe they are saving is hoarded. After Master Hora stops time, but gives Momo one hour-lily to carry with her, she has exactly one hour to defeat the Men in Grey in a frozen world where only they and she are still moving. She surreptitiously follows them to their underground lair and observes as they decimate their own number in order to stretch their supply of time as far as possible. With the advice of Cassiopeia and by using the hour-lily, Momo is able to shut the door to their vault. Facing extinction as soon as their cigars are consumed, the few remaining Men in Grey pursue Momo, perishing one by one. The very last Man in Grey finally begs her to give him the hour-lily, and when she refuses, he too vanishes remarking that "it is good it is over". Using the very last minute she has before her hour-lily crumbles, Momo opens the vault again, releasing the millions of hour-lilies stored within. The stolen time returns to its proper owners and goes back to their hearts, causing time to start again (without people knowing it had ever halted). Momo is reunited with her friends, and elsewhere Master Hora rejoices together with Cassiopeia. Momo is pretty damn wonderful. The c What was I thinking? I already count Ende's The Neverending Story to be one of the very best books ever written, so why would I waste SO MUCH TIME getting to anything else he wrote? القصة الغريبة حول لصوص الوقت , و حول الطفلة التي تعيد للبشر وقتهم المسروق . 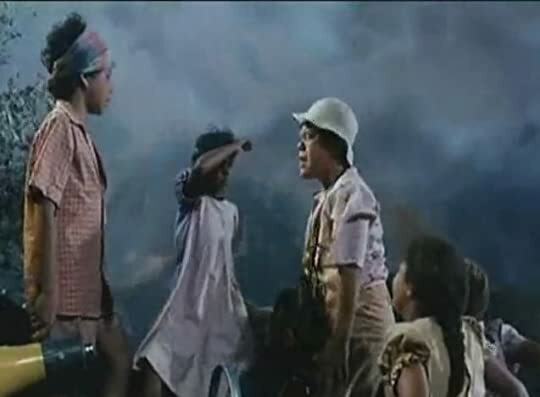 يوميا - عن غير إرادة مني- أكبر أنا في السن ,و لكني و - و لم أجد لهذا سببا- مع الوقت ازداد حبا لكل ما يتعلق بعالم الطفولة لا الكبار ..
أفلامي المفضلة ل ديزني , و كتبي المفضلة هي قصص الأطفال . أبتهجت عندما علمت أن مومو قصة مصنفة تحت بند كتب الأطفال . ال "Fairy tales " . 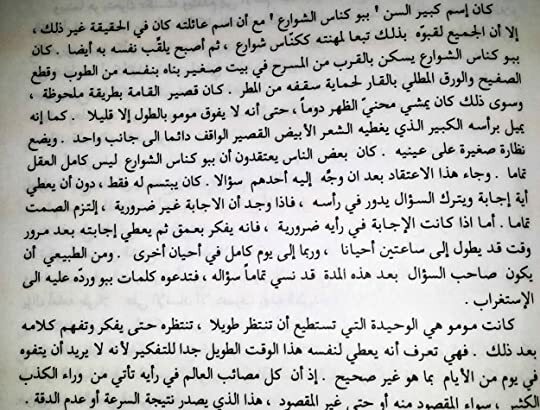 و بالرغم من ذلك فقد حوت صفحاته رسائل و رسائل أضافت لي ما لم يضفه لي الكثير من أدب الراشدين و الكبار إلا ما رحم ربي . في الزمان البعيد ..البعيد جدا .. في الزمان الذي كان فيه الناس يتحدثون بلغات تختلف عن لغاتنا كان هناك ذلك المسرح ..
كان مصدر تسلية لجميع الطبقات في ذلك الوقت , كان للعوام مسرح تغطي أرضه بالحصير و للسادة أخر تغطي أرضه سجاجيد من الذهب ..
و كعادة الوقت المقيته في أن يمضي بلا توقف , مضي . حتي وصلنا إلي عصرنا هذا ..
أصبح المعبد مهجورا يتخذه الأطفال مكانا للهو .. كان هذا عندما ظهرت مومو ..
فتاة صغيرة منكوشه الشعر , ترتدي سترة بالية أكبر من حجمها ..
يحاول هل القرية معرفة من تكون و من أين أتت , و لكن الطفلة لا تعرف شيئا .. تهاب العودة إلي الملجأ بنافذته ذات القضبان الحديدية .. ترجوهم أأن يتركوها تبقي ها هنا , في المسرح . أحبها أهل القرية و أحبتهم .كانوا كرماء معها و كان كل بيت يجود لها بما لديه حتي أصبح لمومو منزل صغير في المسرح القديم . كانت للطفلة قدرة غير مسبوقة (إنها تجيد الإستماع ) . و كان أهل القرية يذهبون إليها و يتحدثون بلا توقف .. و لا تفعل هي شئ سوي أن تستمع إليهم . في حل النزاعات بين المتنازعين .. و لكم كانت جيدة . فتارة هم فوق سفينة يحاربون وحشا مجهولا و يهزمونه و تارة هم فوق أعال الجبال يستكشفون. كان لها صديقين مقربين إلي قلبها بالرغم من إختلافهم أشد الإختلاف . بائع للكلام , قاص موهوب جدا جدا .. يصحب السياح في كل مكان و يختلق القصص التاريخية المشوقة اللتي تحبس الأنفاس ..
عجوز حكيم متفاني في عمله .. تعلم أن العمل يكون ممتعا و سريعا عندما لا تتعجله أن ينتهي أو تشعر بأنه لن ينتهي يوما ..
لم تنتهي القصة هنا و إلا كانت الحياة رائعة ..
فجأة صار الأطفال أكثر تجهما .. الأباء ليس لديهم الوقت لهم و ووقتهم يضيق باستمرار ..
بدأت مومو في فقد أصدقاء لها من الكبار , و عندما ذهبت لزيارتهم وجدتهم تعساء متجهمين .. يعملون أعمالهم بلا متعة و متعجلين دوما ..
و في هذا الوقت تعرضت للأسياد الرماديين .. سارقي الوقت من البشر الذين رأوا أن الطفلة تشكل تهديدا عظيما عليهم قرروا محاربتها بكل الطرق ..
و هنا و عندما قرروا قتلها تابعوها في الشوارع كالجيش الجرار , وجدوها قد اختفت . تبخرت ! في حين كان الأسياد الرماديين علي وشك الجنون غيظا .نتابع نحن مومو مع صديقتها الجديدة في رحلتها إلي (زقاق و لا أي زمان ) و منه إلي (بيت و لا أي مكان ) حيث تتعلم مومو عن ماهية الخطر المحيط بالبشر و في بطولة تامة تقبل أن تعرض نفسها للخطر في سبيل أن يعود أصدقائها كما كانوا .. يستمتعون بوقتهم المسروق ..
لعمري ما زلت لا أعلم سر احتواء القصص الخيالية للأطفال علي هذا القدر من العبر.. ستجد أننا و أني و أنك لا نحتلف الكثير ن أصدقاء مومو ..
سأقتصد في التفاصيل لعدم حرق مزيد من الأحداث ..
و لكن إن كنت من محبي القراءات ذات المعني و الفائدة. Our time is stolen; or perhaps more accurately we mortgage it away, thinking we're getting a bargain when in fact we're screwing ourselves over. Un libro muy lindo, muy bien escrito y con un mensaje más que evidente. Una fantasía que -a través de los hombres de gris- ofrece una explicación al consumismo que caracteriza nuestra época y cómo, en el afán de conseguir y conseguir más cosas, se deja de disfrutar de aquello que realmente nos gusta hacer. I read this book for the first time as a preteen, but I left it unfinished because I didn't find it engaging or entertaining. 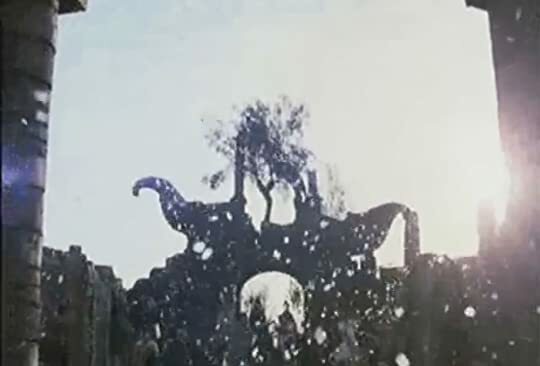 A few years later, due to my LOVE for Michaels Endes's The Neverending Story, I decided to give it another try, and managed to finish it that time. In the end, I quite liked the story, I found it very beautiful actually. My problem with it is that it isn't a diverting read, I found it boring in many occasions, which it is a shame because the message that this story sends i I read this book for the first time as a preteen, but I left it unfinished because I didn't find it engaging or entertaining. A few years later, due to my LOVE for Michaels Endes's The Neverending Story, I decided to give it another try, and managed to finish it that time. Creo que todos deberíamos de leer este bello libro y meditar sobre lo que hacemos con nuestro tiempo. Es una historia infantil con un mensaje relevante para personas de todas las edades, sobre todo por los tiempos que corren. Imprescindible. Jede Minute, Mensch, sei dir ein volles Leben! – Verachte die Angst und den Wunsch, die Zukunft und die Vergangenheit! – Wenn der Sekundenweiser dir kein Wegweiser in ein Eden deiner Seele wird, so wirds der Monatsweiser noch minder, denn du lebst nicht von Monat zu Monat, sondern von Sekunde zu Sekunde! – Genieße dein Sein mehr als deine Art zu sein, und der liebste Gegenstand deines Bewußtseins sei dieses Bewußtsein selber! – Mache deine Gegenwart zu keinem Mittel der Zukunft, denn diese ist ja nichts als eine kommende Gegenwart, und jede verachtete Gegenwart war ja eine begehrte Zukunft! Beim Lesen von Momo ging mir immer wieder dieses Zitat von Jean Paul durch den Kopf. Er hatte wohl auch schon eine Vorahnung von den „grauen Herren“, jenen widerwärtigen Chronophagen aus diesem Buch. Damals, als Momo erschien, war ich eigentlich in genau dem richtigen Lesealter. Aber ich wollte, ehrlich gesagt, meine Zeit nicht mit einem „Mädchenbuch“ verplempern. Dafür war mir meine Zeit einfach zu schade. Heute weiß ich das natürlich besser. Gestern nun fand ich endlich die Muße, meine Zeit voll und ganz dem Buch zu widmen und habe es in einem Rutsch gelesen. Besser spät, als nie. Und es war keine Zeitverschwendung. Ganz im Gegenteil. Ich würde sogar sagen, dass mir die Zeit, die ich mit dem Lesen von Momo verbracht habe, am Ende sogar zusätzliche Zeit gebracht hat. Ich habe, wenn man so will, für die Zukunft Zeit gewonnen. Das klingt paradox, ich weiß, aber solche Dinge passieren eben manchmal, wenn man sich mit bestimmten Büchern beschäftigt. Ob Kinder die philosophischen Aspekte, die in diesem Buch erörtert werden, schon in ihrer ganzen Breite begreifen können, wage ich zu bezweifeln. Aber ich denke, das sollen sie auch gar nicht. Es bleibt für sie immer noch eine herrlich spannende, teilweise lustige, aber auch traurige, Märchengeschichte übrig, die sie so leicht wohl nicht wieder vergessen werden. In Zukunft werde ich wohl noch mehr meiner Zeit für das Lesen von Michael Ende Büchern opfern müssen. Dieses hier zum Beispiel, das allein ob seines Titels lesenswert erscheint: Der satanarchäolügenialkohöllische Wunschpunsch. You cannot, repeat: cannot, go into this book with the expectations of "hard," realist fiction. Then again, if you know anything about Michael Ende (the author of the Never Ending Story), you won't. Momo is one of those rare books that would do well in a fourth-grade classes, but is also strangely releveant to adults. The story centers around a girl named Momo who took residence in an ancient, abandoned amphitheater in an unnamed town, which is populated by a series of people who do small-town jo You cannot, repeat: cannot, go into this book with the expectations of "hard," realist fiction. Then again, if you know anything about Michael Ende (the author of the Never Ending Story), you won't. Momo is one of those rare books that would do well in a fourth-grade classes, but is also strangely releveant to adults. The story centers around a girl named Momo who took residence in an ancient, abandoned amphitheater in an unnamed town, which is populated by a series of people who do small-town jobs (Bepo Streetsweeper, Nino who owns an inn, Guido Guide who works as a fake - albeit enterataining - tourist guide). 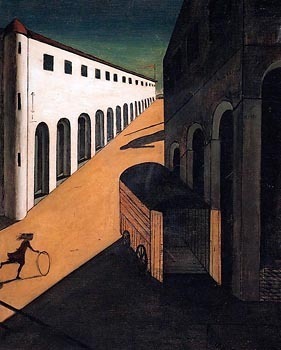 The story starts by painting Momo's life and place in the town, and details the downfall of the place to mysterious, grey men. The book deals heavily in the subject of time, and the squandering of it - and this is the genius of the plot. There is enough fantasy to hold a 10-year-old's attention, but plenty of substance to whet the apetite of an adult. *Μετά από μια τρίτη ανάγνωση: Θα μπορούσε άνετα αυτό το βιβλίο να το κουβαλά οποιοσδήποτε νέος άνθρωπος (ή ίσως και μεγαλύτερος που έχει αποφασίσει να το πάρει αλλιώς) παραμάσχαλα και να πορευτεί στη ζωή του μαζί του ως το απόλυτο survival manual . Ό,τι πραγματικά χρειάζεται να ξέρεις γι αυτή τη ζωή, βρίσκεται μέσα στις σελίδες του. Δεν το βαριέσαι ποτέ. Translated into English, under the same title: Momo. At the edge of a small town, among the ruins of an old amphitheater, lives a most unusual little girl. She is very small, very poor and not particularly educated for her age. She does, however, have an extraordinary talent: she can truly listen to people. Don't mistake her listening skills for the generic I will listen for now, but please hurry up so I can talk about my own problems type. Hers is the genuine kind, the one that shows real interes Translated into English, under the same title: Momo. Don't mistake her listening skills for the generic I will listen for now, but please hurry up so I can talk about my own problems type. Hers is the genuine kind, the one that shows real interest in people's problems. This amazing ability of hers has proven to be so successful, that eventually "just go and talk to Momo about it" had rightfully become the solution to anyone's problems. I really wish I had read this story when I was a child, instead of The Neverending Story. It's so much more engaging, realistic and - to a certain extent - rather sad. Alas, at the time, there was this big hype about a movie, so I ended up reading Michael Ende's other book. ... and that theme song still gets occasionally stuck in my head. Strictly as a children's story, it's one of the better ones I've read. However when it comes to those children's stories which I've read as an adult, it is somewhat lacking. Most characters can be reduced to a single attribute, the only exception being of the Time Guardian. Even he was basically just slightly more real (in behavior) compared to the rest of the cast. The world -building of the story, however is awesome. The little allegories here and there paint an amazing picture, especially now, that I am looking at them with the eyes of an adult (*cough* wishfulthinking *cough*). İlk bölümle birlikte bir hayal kırıklığı yaşamıştım ama sonradan toparladı. Okuduğum en dolu, en anlamlı minik kitaplardan biriydi. Bir sürü ders veriyor, bir sürü de kulak çekiyor. Ciddiyetini fark etmediğimiz ve tam olarak da içinde yaşayıp yavaşça duman olduğumuz bir dünyada, çok daha manalı oldu kitap. Recommended to me by Meltha, one of the smartest people I know, who has a great love for most of the things I love. How could I resist? 10/9 - Why? Why isn't this required reading in schools all over the damn place? Why haven't I heard of this? Why hasn't it been made into a movie like NES? This book is WONDERFUL! And for the first time since I started keeping my nose in a book 14 hours a day (a girl's gotta sleep), people asked what I was reading, and I had so much fun telling th Recommended to me by Meltha, one of the smartest people I know, who has a great love for most of the things I love. How could I resist? This book is WONDERFUL! And for the first time since I started keeping my nose in a book 14 hours a day (a girl's gotta sleep), people asked what I was reading, and I had so much fun telling them about the book and how they needed to read it. Momo zamana, zamanı nasıl kullandığımıza dair masal tadında bir kitap. İşlenen dostluk o kadar samimiydi ki kitabın içindeki çocuklardan biri olup Momo'yla oyunlar oynayasım geldi. En çok da karakterlerin yoksulluk içindeki mutluluk dolu hayatlarının tasvirlerini sevdim, Michael Ende tüm bunları çok samimi bir dille kurgulamış. Artık yazarın sıkı takipçisiyim. İçinizi ısıtan, üstüne bir de hayata dair güzel mesajlar veren bir hikaye arıyorsanız bu kitabı okuyun, sırf Momo gibi bir karakteri tanımak için bile okunabilir. Momo'yla bu kadar geç tanıştığıma çok uzuluyorum. Micheal Ende benim icin ikinci bir Miyazaki oldu. Herkese tavsiye olunur. Momo es una niña pequeña que vive en las ruinas de un anfiteatro donde pasa el tiempo junto a sus amigos del área. A todos les gusta visitar a Momo ya que su imaginación se incrementa con su presencia, y eso los lleva a disfrutar con juegos y pasar el rato. Además que Momo es una excelente compañera, ya que escucha a sus amigos sin importunar. Pero poco a poco las personas dejan de aparecer y de visitar a Momo, cada vez son menos los que pasan a platicar con ella. Todos parecen estar cada vez más ocupados. Y es Momo quien descubre que el tiempo está siendo robado por los extraños hombres de gris. Y ahora depende de ella recuperar el tiempo que se han robado. Momo es un libro muy imaginativo. El concepto de tiempo que se presenta en el libro está muy bien pensado y te hace considerar en qué desperdicia o utiliza uno su tiempo. Hace poco leí un libro con una temática bastante similar, pero definitivamente Momo fue mucho mejor. Me gusta mucho la forma en la que el libro refleja el estilo de vida rápido y ocupado que tenemos ahora y en cierta forma lo critica y te hace reflexionar. O sea, ya no perdemos el tiempo jugando, ni los niños pierden el tiempo jugando (cosa que es un poco triste) porque estamos ocupados en mil cosas. Es bueno reflexionar de vez en cuando en qué invertimos nuestro tiempo, porque aunque el trabajo es importante, también es muy importante "pasar el rato" con la gente importante para nosotros, ese tiempo nunca será un tiempo perdido, y al menos para mí es muy muy importante. Éste es el segundo libro que leo de Michael Ende y estoy enamorada de su forma de escribir, segunda vez que me topo con una historia llena de fantasía y escenarios fantásticos, que el autor logra describir sin mucho esfuerzo, sin ser rebuscado, y que te pinta una imagen clara en la cabeza. Me encanta, de verdad, me encanta cómo se expresa Michael Ende. Τέλειο!!! Τέτοια βιβλία χρειάζονται τα παιδιά....και οι μεγάλοι! Diese Geschichte kann immer wieder erzählt und gelesen werden, denn die kleine Momo kämpft gegen die Hektik des Alltags, die jeden Erwachsenen irgendwann im Laufe seines Lebens trifft. In einer fiktiven Welt, irgendwann, irgendwo, taucht Momo am Rande einer Stadt auf und bezieht eine verlassene Ruine eines Amphittheaters. Mit nichts als dem, was sie am Leib trägt hat sie genau das zu bieten, was die Menschen so sehr brauchen: sie hat Zeit, ihnen zuzuhören. Und zwar so aufmerksam und unaufdringlich, dass bald jeder gerne zu ihr kommt, um ihr sein Herz auszuschütten. Ohne ein Wort zu sagen bringt sie jeden dazu, sich selbst zu erkennen und das zu sehen, was anderen verborgen bleibt. Doch schon bald tauchen die grauen Herren auf, die Bösewichte. Erschaffen von den Menschen selbst, die in ihrer Angst, etwas zu verpassen, nicht mehr wissen, welche Momente in ihrem Leben wirklich wichtig sind und es verdienen, dass man ihnen ihre Zeit schenkt. Alles muss schnell gehen und schnell zum Erfolg führen - dafür wird wertvolle Zeit geopfert, denn statt in jeden Augenblick mit dem Herzen dabei zu sein, wird alles nur noch notgedrungen und widerwillig absolviert. Den grauen Herren ist das nur Recht, denn sie stehlen den Menschen die Zeit, so dass sie immer weniger haben, je mehr sie versuchen und sich anstrengen, durch ihre Rastlosigkeit etwas zu gewinnen; und dabei verlieren sie so viele schöne Momente, die einfach so an ihnen vorbeiziehen. Jeder sollte sich dieses Buch immer wieder mal zur Hand und zu Herzen nehmen, denn es verliert nie seine Bedeutung.Ich hab es jetzt zum dritten Mal gelesen und kann mich jedes Mal zwischen den Zeilen selbst wieder finden, dass auch ich meinen Alltag viel zu unbewusst erlebe und das eben alles, was man aus Liebe tut, jeden Augenblick wert ist. Für mich ein immer wieder lesenswertes Buch, das uns zur Ruhe kommen lässt und zeigt, wie einfach man sich einige kostbare Augenblicke im Leben bewahren kann. I bought this book several months ago at a used book store, but I put off reading it because I was afraid it wouldn't live up to Michael Ende's other famous book, which also happens to be my favorite book, The Neverending Story. While Momo isn't as complex and more bluntly allegorical, it is charming and emotionally stunning. Perhaps I am more naive than most readers, but I felt myself swept up into this book's persuasive world in which children are forgetting how to play and adults only care ab I bought this book several months ago at a used book store, but I put off reading it because I was afraid it wouldn't live up to Michael Ende's other famous book, which also happens to be my favorite book, The Neverending Story. While Momo isn't as complex and more bluntly allegorical, it is charming and emotionally stunning. Perhaps I am more naive than most readers, but I felt myself swept up into this book's persuasive world in which children are forgetting how to play and adults only care about saving time instead of enjoying life--a world, of course, very much like our own. I was at times amused, delighted, and deeply moved by this little book. There aren't many books I've read in a day, but I was literally reading this as I walked around the city because I simply couldn't stop reading. There are some books which genuinely affected the way I see the world, and I have a strong belief this one has become one of those. Creo que lo he leído en el mejor momento. Enamorado de Momo y de la historia. He vuelto a mi infancia y a aquellos libros que tanto se disfrutan. Hay que leerlo, aunque sea tarde (como ha sido en mi caso). Nach geschätzten 18 Jahren wieder mal gelesen. Eine sehr schöne Geschichte die auch heute noch zum Nachdenken anregt und ein sehr aktuelles Thema behandelt. Este libro te demuestra la complejidad de la vida a traves de las de la aparente simplicidad de un cuento de niños, es sin duda uno de mis libros favoritos, mi padre me lo leia todos los dias cuando era pequeña. Su importancia radica en la naturalidad del la historia y la metafora que imprime , es totalmente extrapolable a la realidad actual. Los hombres grises existen sin duda, nos absorben nuestro tiempo y nadie es consciente de esto solo los niños que todavia utilizan su imaginacion, son capace Este libro te demuestra la complejidad de la vida a traves de las de la aparente simplicidad de un cuento de niños, es sin duda uno de mis libros favoritos, mi padre me lo leia todos los dias cuando era pequeña. Los hombres grises existen sin duda, nos absorben nuestro tiempo y nadie es consciente de esto solo los niños que todavia utilizan su imaginacion, son capaces de verlo. Cuanta gente hay metida hasta el cuello en la prision de la hipoteca, de repetir una jornada laboral que no le aporta, que no le hace feliz, que le conduce a un objetivo irreal, ¿cuanto tiempo y preocupacion dedicada a esta supuesta felicidad que o conduce a nada que hace que produzcamos como elemntos carentes de vida propia,alimentando al sistema dando todo nuestro tiempo nuestra vida de manera gratuita, sin detenernos ni siquiera un minuto. * Şerefli insanlar bir kere el sıkışırlar! * Bir insanın çok dostu olabilir, ama insan, onların içinden de birkaç kişiyi kendine daha yakın bulur ve onları daha çok sever. * Zamanın bu garip kısalığı uzunluğu, o saat içinde yaşanan olaylara bağlıdır. Çünkü zaman, yaşamın kendisidir. Ve yaşamın yeri yürektir. * An diye bir şey kalmıyor. Ya geçmiş oluyor ya gelecek. Örneğin şimdi, bu anda ben konuşurken an geçip gidiyor. Geçmiş oluyor. - Son bir haftamı gripli olarak geçirdiğim için düzenli okuyamadım. Buna rağmen Momo her bölümünde enerjisini yansıttı. Herkesin okuması gereken bir kitap. Verilen mesaj çok değerli. Un libro que todo el mundo tiene que leer. Debería ser lectura obligatoria en los institutos. Ojala existiesen muchas Momos que nos ayudasen a entender que vida sólo hay una y que tenemos que disfrutarla. Es una historia muy buena. Los personajes son entrañables, sobre todo Beppo. Momo nos enseña que hay veces que necesitamos perder tiempo sin hacer nada "de provecho" para disfrutar de la vida. Si sólo viviésemos para trabajar nadie sería feliz. No me ha gustado tanto como La historia interminable, Un libro que todo el mundo tiene que leer. Debería ser lectura obligatoria en los institutos.